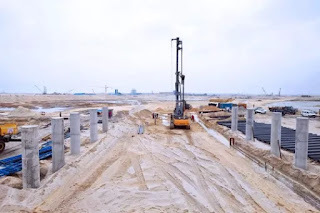 Eko Atlantic city’s story started in 2003 when the Lagos State Government was in search of a permanent solution to protect Bar Beach in Victoria Island from the effects of severe coastal erosion, and to safeguard Victoria Island from the threat of flooding. 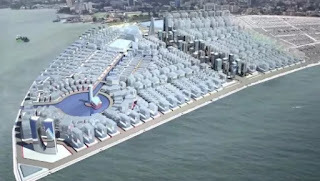 Between 2003 and 2005 South Energyx Nigeria Limited, the developers and city planners of Eko Atlantic, engaged in a feasibility study with international experts to solve the problem once and for all. This chronology begins in 2005. The new city of Eko Atlantic is the most impressive urban development project in Nigeria. Eko Atlantic will be a new home to 250,000 people and the workplace of another 150,000. The ten square kilometer development will have waterfront areas, tree-lined streets, efficient transport systems and mixed-use plots that combine residential areas with leisure facilities, offices and shops. 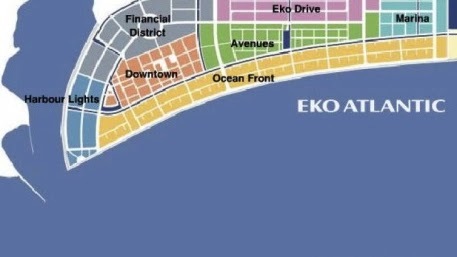 If beautiful graphics and digitalized imagery were all it took, Eko Atlantic would have earned a reputation as the 8th wonders of the world, as a development within a city – Lagos, Nigeria. Lagos, which CNN once dubbed one of the greatest slums in the world, is destination of this mega-graphic development. But it takes more, and I am afraid Eko Atlantic may be a pipe dream since oil money that encouraged and fueled its conception is now almost vapour. When in 2012, I visited the site, there was strong excitement that some of the oil companies operating in Nigeria were going to snap up sites for their gleaming skyscrapers. But since the drastic drop in oil prices, there have been few groundbreakings; Nigeria equivalent of foundation laying ceremony for new construction. 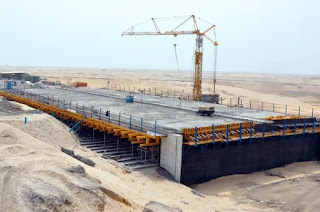 The excitement was so strong that in 2013, President Bill Clinton and President Goodluck Jonathan, attended a ceremony on the site; partly to show what is happening under Jonathan: – http://www.ekoatlantic.com/press-cli…bal-investment. But just like Whitewater project The Clintons were involved in Arkansas, Eko Atlantic City looks like a white elephant project. CNN Africa has been paid handsomely to keep the story alive but very few credible responses by reputable foreign developers have materialized. Eko Atlantic plan is impressive but given that real estate is about Location-Location-Location, the development is having difficulty getting pass the reputation of Nigeria; location – as a not-to-be-trusted-nation, when it comes to serious investments in the non-oil sector. The only reason Nigeria was attractive was the world needed its oil and as a result, did what it had to. But since US has waned itself buying Nigeria oil and coupled with slumping global oil price, Nigeria is no longer swimming in its imagined sense of wealth anchored on quicksand. Nigeria is having difficult in the non-oil sectors apart from vulture investors that want to grab whatever is available and skip town. Without enough and seasoned local capacity in terms of ability to deliver and finance the project, the faith of Eko Atlantic lies in attracting low long term capital cost from those who can look beyond Nigeria’s damaged reputation as a nation of fraudsters, is unimaginable. It is hard to do but not impossible. Were the local players able to place their money where their mouth is, by taking the initial equity risk; granted that is already evidenced in the site preparation, some foreign debts may attach. 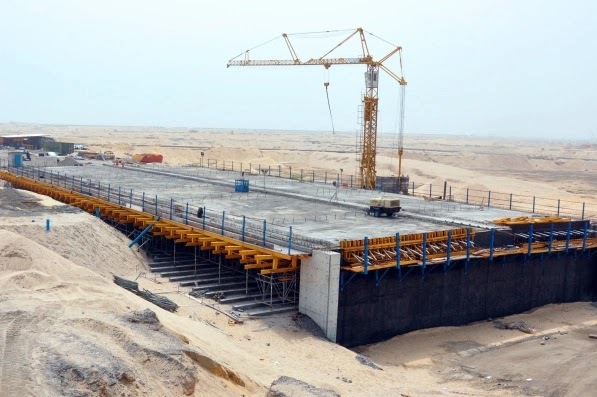 But since Nigeria has never built a project of this magnitude by a private sector, and lacking effective private-public partnership structure is unheard of, the sun may first rise from the west before Eko Atlantic rises from its reclaimed dirt. In 2015, apart from a single high-rise under construction, Eko Atlantic that can literally transform the skyline of Lagos and usher bold steps towards addressing decay and lagging modern ways of delivering projects with great amenities, may languish becoming an eyesore as opposed becoming great eye sight. And Nigeria corporate capacity is very limited as there are not many Nigeria owned companies that have suitable corporate headquarters or can afford to lease large space and pay rent on time. A corporate landscape dominated by mom-pop establishments with very little track records on paying rent and or having suitable office space. Nigeria is very green in legal structures that enable effective private-public partnerships for certain projects that can add to its economic base. With the government officials on cash-and-carry basis, looking for short term benefits, it is hard to sell projects whose survivability depends on long term outlook. Most transactions are done by politicians in hotel rooms and or hotel lobby; hardly offices. Nigeria Abuja and Lagos, two cities where there are some significant business and economic activities, each has less than 1,000,000 square feet of purpose built office buildings available for lease. Office buildings as part of Nigeria real estate holdings is less than 1%, and are hardly buildings of reasonable class. 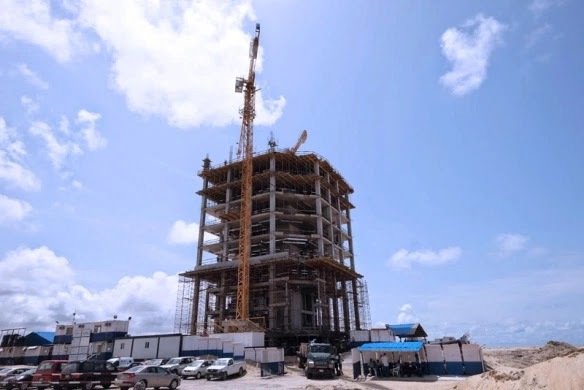 Eko Atlantic City is behind in all its projections given selling price of Nigeria main foreign exchange earn – crude oil, and timid local support. Lagos State resources are barely enough to meet its needs so it has had no hand in attracting measurable financial backing for the project. And given that Nigeria lacks seasoned developers with global reputation, the cash-and-carry funding style majority of the developers use, is not what will save Eko Atlantic City. At the pace and rate, Eko Atlantic City may just be a magic on steroid and reality delayed.